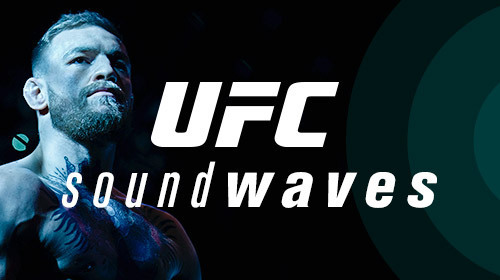 In UFC Sound Waves, fans have a chance to listen to the sport like never before. With behind-the-scenes audio, hear what it’s like to win a UFC title, what bitter rivals have to say after the fight, and the craziness behind exhilarating first-round finishes. Plus, relive history as you hear some of the most infamous call-outs by the sport’s most polarizing athletes. UFC Sound Waves Conor McGregor Apr 20, 2017 (22:04) "The Notorious” Conor McGregor is the UFC’s loudest and most prolific star. With never-before-heard audio, UFC SoundWaves gets fans closer to some of his most remarkable fights than ever before. Also, listen in on McGregor’s crazed fanbase, relive his best press conference moments and hear what it’s like to live “The Mac Life." UFC Sound Waves Mixed Emotions May 8, 2017 (21:58) With UFC Sound Waves, fans have a chance to listen to the sport like never before. This episode unveils behind-the-scenes audio to hear what it’s like to win a UFC title, what bitter rivals have to say after the fight, and the craziness behind exhilarating first-round finishes. Plus, relive history as you hear some of the most infamous call-outs by the sport’s most polarizing athletes. UFC Sound Waves Team Unity Jun 15, 2017 (21:58) Though individual in nature, mixed martial arts is also a team sport. From off-day recreation to preparation during fight week, we'll hear what it's like to be part of the biggest fight camps in MMA. Plus, listen in on UFC 207 as Team Alpha Male's Cody Garbrandt takes on Dominick Cruz of Alliance MMA. 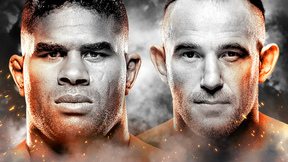 And the Blackzilians' "Rumble" Johnson goes up against Daniel Cormier from "AKA. UFC Soundwaves Bad Blood Nov 16, 2017 (22:00) With UFC Sound Waves, fans have a chance to listen to the sport like never before. This episode unveils behind-the-scenes audio to hear what it’s like when two teams aren’t on the friendliest of terms.